An up-and-coming enclosed retail/residential development project in Markham, Ont., is set to become one of the largest retail centres in the Greater Toronto Area (GTA), boasting the largest geothermal system of its kind in the country. 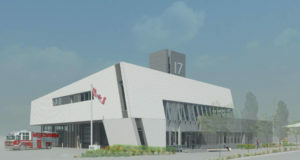 A rendering of the country’s first fire hall to be built to Passive House standards in Vancouver. Earlier this month, Vancouver’s mayor, Gregor Robertson, announced the city’s aging Fire Hall No. 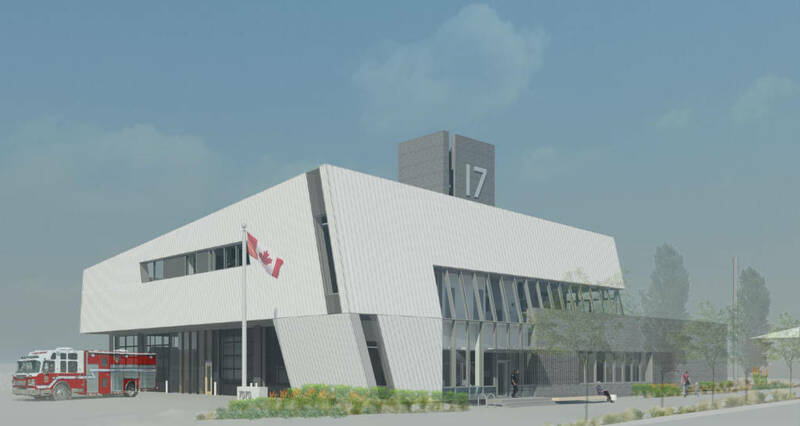 17 will be knocked down and replaced with the country’s first fire hall built to Passive House standards. The structure was built in 1955 and is seismically unsafe and too small, as well as operationally and energy-inefficient. A temporary fire hall is being built nearby for use until the new building is ready. Construction is expected to start this fall with a project budget of $19.9 million. Expected to open mid-2019, the energy-efficient building will be more than double the size of the old one. It will also serve as a post-disaster citywide emergency hub in the event of an information technology (IT) network breakdown. Therefore, it will be fitted with IT, radio, supervisory control and data acquisition (SCADA), and traffic control equipment. This project is seeking to not only be Passive House certified, but also net-zero carbon, net-zero energy, and gold rating under the Leadership in Energy and Environmental Design (LEED) program. HCMA Architecture + Design is currently at tender stage for the project. For more information, read the full report at Vancouver Courier.